BOILING SPRINGS AREA, 4 BEDROOM / 2 BATH, ONE LEVEL WITH A BONUS, ON A .62 ACRE LEVEL LOT!!! This is an awesome find and a beauty of a home! As you begin your tour of this lovely open floor plan you will find an entryway with a sitting area; a living room; dining room; a large laundry room; a spacious kitchen with stainless steel appliances, island with plenty of room for extra seating, and a spacious pantry closet. The impressive master bedroom boasts a large walk-in closet; a master bath with a garden tub, separate shower, and double vanity and you will also be impressed with the spacious additional bedrooms. The upstairs 12x22 bonus room provides a generous amount of space with many possibilities. 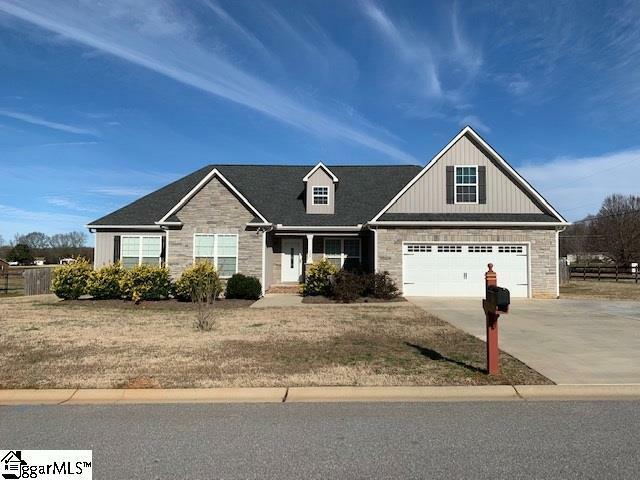 You will appreciate the quality throughout this home with pretty hardwood flooring, trey ceilings, and a beautiful gas log fireplace. Continuing your tour to the outside of the home, you will find an outbuilding for additional storage. The large screened porch, deck, patio, and fenced in back yard are perfect to welcome in the summer with friends or just to relax and cool off on lazy evenings! THIS IS HOME!